XTZ 99 W12.18 ICE review | What Hi-Fi? The XTZ is just under 50cm tall and 52cm deep, so you wouldn't consider it for a smaller room. 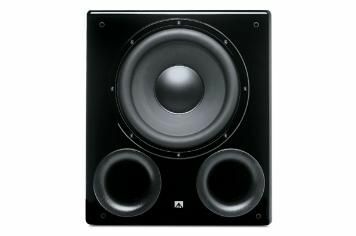 In fact, you could quite easily fit three or four Dynaudio Sub250 Compacts inside just one of these beasts. The XTZ uses a Bang & Olufsen ICEpower amplifier, which produces 500W of power, driving a 12in Peerless XXLS driver unit. The cabinet has two large bass-reflex ports. Underneath, the subwoofer is fitted with vibration- suppressing rubber feet. There are balanced, RCA and high-level inputs and you're also given the choice of a couple of different EQ settings (which can be turned off). The imposing appearance is mirrored in a big-boned sound. Subtlety isn't high on the agenda, and bass notes sound muddied and confused due to a lack of control and cohesion. Extra definition can be had if you use the supplied bungs, but then you lose a little impact and drive. This is a big sub with a big sonic personality, but it suffers from lack of finesse.